Grading or assessment is integral to all teaching and learning. The objective of assessment is to provide feedback of the learning process and a student’s acquisition of knowledge, understanding of concepts, and mastery of skills. Criterion-Based Assessment: Criterion-referenced tests and assessments are designed to measure student performance against a fixed set of predetermined criteria or learning standards—i.e., concise, written descriptions of what students are expected to know and be able to do at a specific stage of their education. 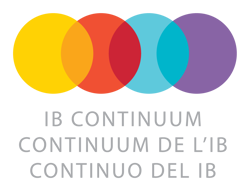 Following the IB Continuum of Education, student work and progress is assessed as direct evidence of achievement against the stated academic goals of courses at Lausanne. In addition to academic skills, IB assessments encourage an international outlook and intercultural skills, wherever appropriate. Student results are determined by performance against set standards appropriate for each programme. Lower School: In Early Childhood (PK-SK), assessment is completed through classroom activities. In 1st-4th grades, assessment also takes place through classroom activities and formal assessments are shared with families. In grades PK-4th, progress reports are emailed home following the end of each trimester. Read more about the Primary Years Programme here. E - Exceeds Expectations - The student consistently and independently demonstrates understanding of the content and skills above and beyond grade-level expectations. M - Meets Expectations - The student meets grade-level expectations regarding the content and skills taught. D - Developing Expectations - The student shows emerging mastery of the content and skills taught but has not yet met grade-level expectations. Student needs time and support to demonstrate understanding. N - Needs Strengthening - Even with additional support and assistance, the student has not yet met grade-level expectations. Middle School: The Middle School will be transitioning to criterion-based assessment throughout the year. Teachers will be implementing 1 criteria-based assessment during the first trimester and increasing criterion reporting throughout the year. Full MYP assessment and grading will be implemented in Grades 5-8 in the 2019-2020 school year. Read more about the Middle Years Programme here. The MYP Criteria Score indicates the current level of performance a student has earned in the criteria being assessed (Grading scale 8 = Excellent 6-7 = Very Good 5 = Good 4 = Satisfactory 3 = Fair 2 = Poor 1 = Very Poor). All subject criteria will be assessed no less than two times in an academic school year. Not all criteria will be assessed each grading period. All criteria assessed indicates the students current level of performance within a skill with the anticipation of growth as the year progresses. Final criteria scores will reflect the "Best Fit" to reflect the student's growth through the three grading periods. Please see Parent/Student Guide for a more detailed explanation. To help you interpret student progress using MYP Criteria, we have developed a conversion scale to represent a letter grade. The Grade Performance Indicator will allow you to see how your student is performing at the end of each term. A Final letter grade will be reported at the end of the year which represents the final MYP criteria assessment. Upper School: The Upper School currently uses criterion-based assessments and grading in 9th and 10th grade English, American History, and Modern World History. We have embarked on a careful two- year process that will adapt the MYP grading process to all of our subject areas in a way that promotes student learning and achievement in the Diploma Programme starting in the 11th grade. Read more about the Diploma Programme at Lausanne here. To learn more about the IB Diploma Programme's assessment approach, click here. Following the IB Continuum of Education, student work and progress is assessed as direct evidence of achievement against the stated academic goals of courses at Lausanne. In addition to academic skills, IB assessments encourage an international outlook and intercultural skills, wherever appropriate. Student results are determined by performance against set standards. Students are evaluated on class-specific IB rubrics in four criteria (A, B, C and D) to build towards mastery of each subject. The sum of these numbers corresponds to a percentage grade to help interpret progress each term. Students will receive a Criteria Score of 8 (Excellent) to 1 (Very Poor), and a corresponding Course Grade to adhere to college transcript standards (A = 90 – 100 B = 80 – 89 C = 70 – 79 D = 65 – 69 F = 0 – 64). Students in DP classes will also receive a "DP Predictor Score" that predicts what the student will achieve on the IB assessment for the DP course. This is not a final score, only a prediction.